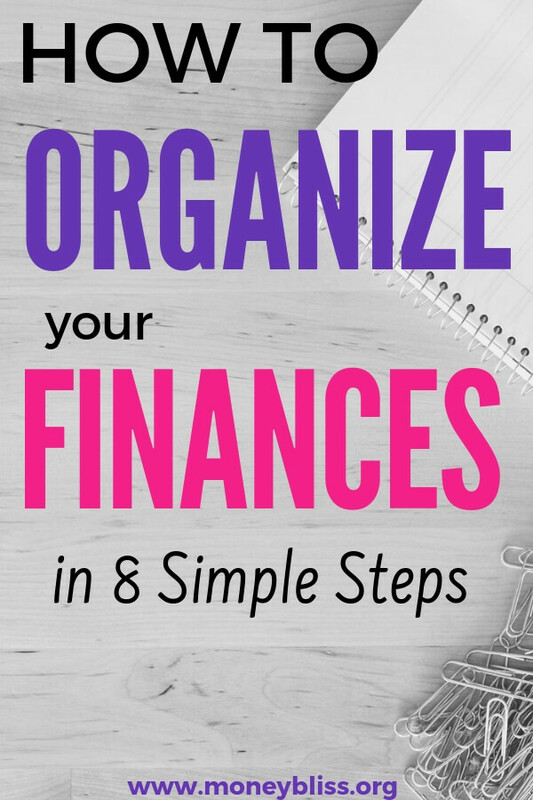 Organizing your finances is key to financial success. While it takes time to set up a system, in the long run, it will save countless hours of time. Truth be told… You should finish all of the steps except for one in an hour. Plus you know where all your money is (and where you want it to go moving forward). 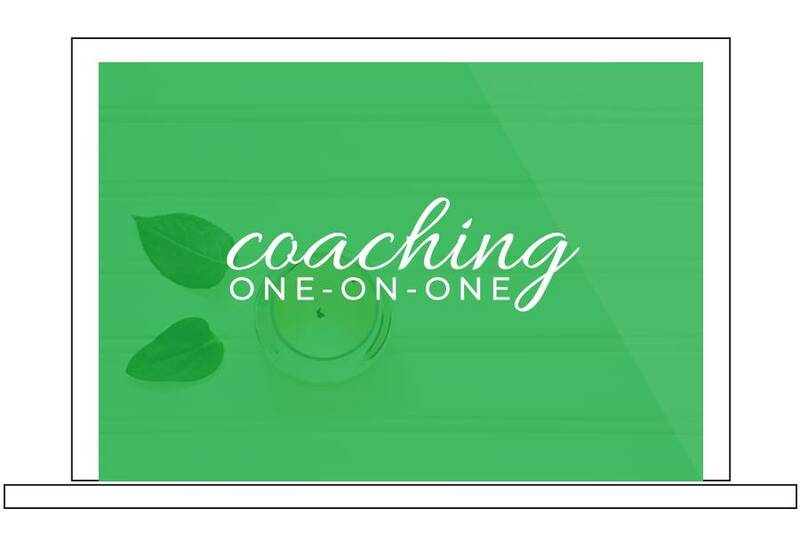 This step is SO important that it is the #1 step in the Money Bliss Steps to Financial Freedom. Don't put it off until tomorrow. Make it a priority and get it done today. So everything is one place. Okay, that answers seems obvious. But, it is key to managing (and growing) your money effectively. Another reason to keep on organized personal finance situation is what if something happens to you. It could be something big like an accident or coming down with a nasty flu. Wouldn't it be nice if someone can be pointed in the right direction and your bills get paid? No stressing out because you can't find a bill. No worrying whether or not you paid a bill on time. Bonus: Less time searching for papers because of an organized paper system means more time to do something else. 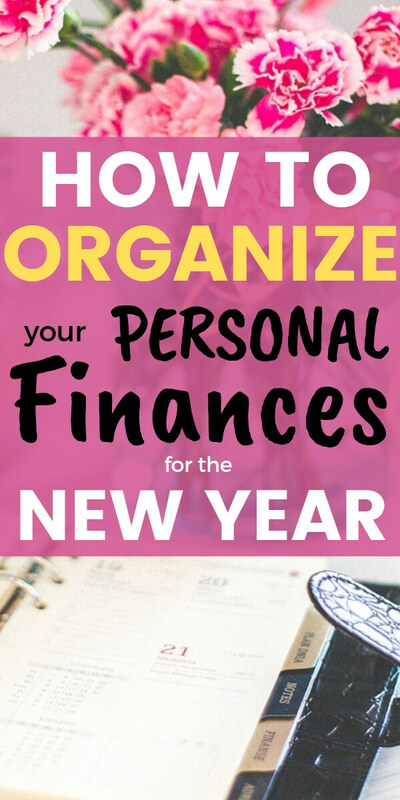 Spend one hour now organizing your personal finances and gain hours of lost, unproductive time in finding bills and papers. The first step to living a life of Money Bliss is to get your financial house in order. This step isn't meant to be daunting at all. At this point, look at your financial picture as a whole. The 1,000 foot view! 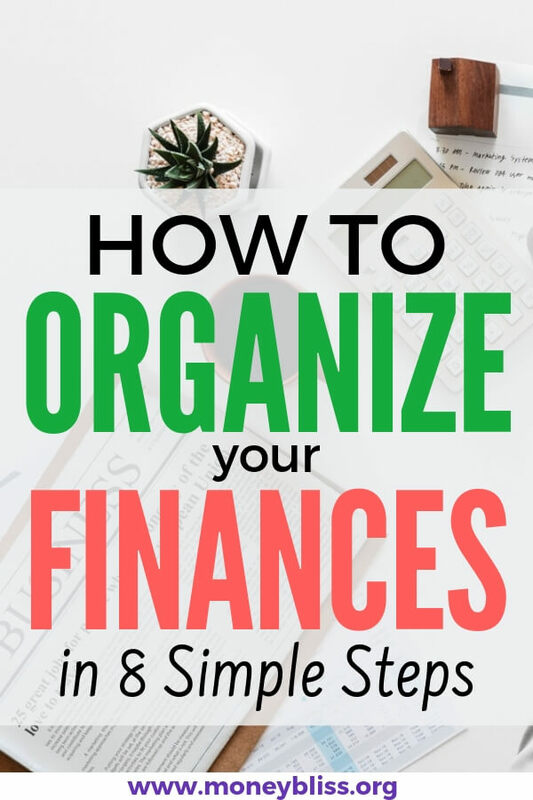 Now, let's dig into how to organize personal finances in less than an hour. Okay, the last step will take a little longer, but in the end of today, you can get organized with money. Don't just talk about organizing your financial life. In reality, only action will move you forward. Time to grab a pen and paper. Start writing down ALL of your accounts. To make this process easier, head to our resource library and grab some of our free printables to help you. Key Note: I always recommend to have a financial binder to hold all of your information. Also, store an additional copy of key information in a fireproof safe and digitally as well. Now, that you listed out all of your accounts, it is time to figure out your net worth. This is a key indicator of progress! So, don't give up because the number may be negative or not where you thought you would be by this point. Simply put… net worth is your assets minus any liabilities. Personally, I keep a graph in our financial binder of our net worth. That is calculated for using a personal finance app that keeps everything up to date automatically. Related resource for you: What is the Purpose to Track Net Worth – Even if Negative? For this step, you need to create the following things: financial binder, mail inbox, and your organize your online world. The financial binder is key in our house. It is the one location that everything current can be found. I'll be honest… I don't sort through our mail on a daily basis because I loathe the task. But, someone always has to bring it in until we get a locking mailbox. So, a place to put mail is key and then a bill will never be lost. At the bottom of my mail inbox, I put an envelope folder for any bills or paperwork that needs to be handled. When it is time to pay bills, that folder is pulled out and dealt with it. The tech gurus always tell you to change your passwords every couple of weeks. But, seriously, how many people actually do it?!?! However, it is something we need to take seriously. A simple way to organize your passwords the old fashion way is with one of these. Personally, I found it very simple and easy to use. If an account is closed, then I just cross it out and make a note. If you prefer a digital option, then look at Dashlane. How do you handle money? Do you prefer cash, debit or credit cards? 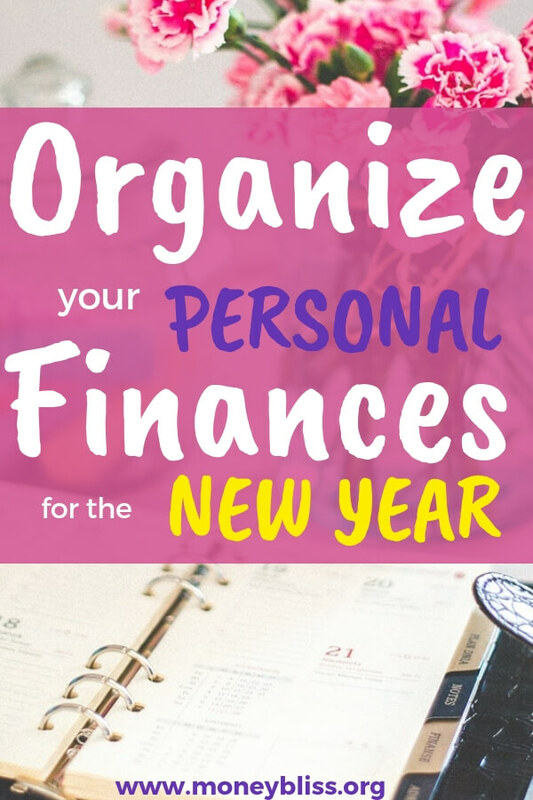 In order to stay organized with your money, make a decision that is best for your household. If you plan to use cash, check out the best cash envelopes and cash envelope wallets (and options for men too). Using a credit card is trickier to know how you are spending money, so check out the budgeting apps to help you succeed. Next, it is imperative to get the bill under control! One simple way to eliminate extra stress when paying bills is to check them off when paid. This task can eliminate unnecessary time in determining if a bill was paid. 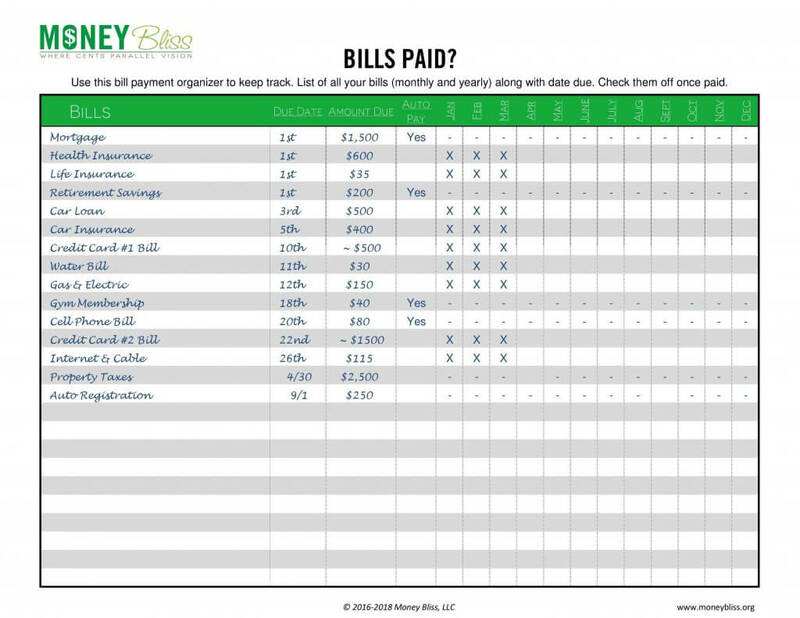 Download the Bill Payment Organizer from the resource library. Key Note: Whenever possible, automate bill payments. This is so helpful for two reasons! One the bill is always paid in full and on time. Second, it is one task removed from your plate. Whether you are a goal setter or not, this is a step that can't be overlooked. Then, starting making all of your personal finance decisions based on those goals! It is one thing to make awesome money goals, but it is a completely different thing to achieve them. Action will move you forward! This is key to get ahead financially. In order to have long term financial success, you must spend less than you make. Expenses must be lower than income. Period. Cash flow is the timing when your income and expenses are coming in and out of your accounts. This will help to stop living paycheck to paycheck. And there it is… the budget word! Personally, I like to look at a budget in this way… this is how I choose to spend my money … rather than my spending telling me where my money was spent. 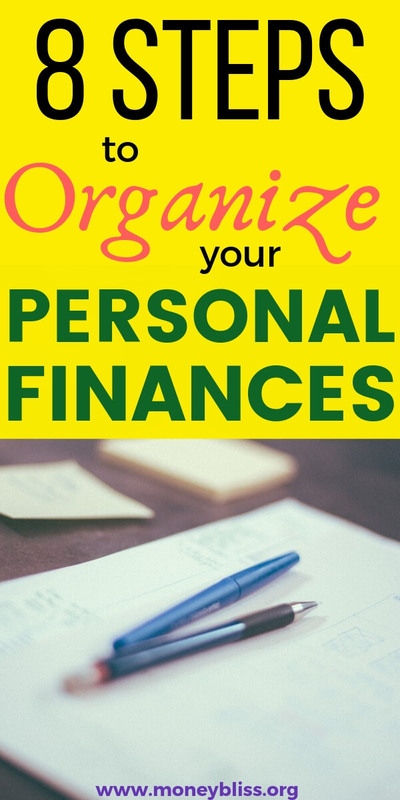 This is a key segment of organizing your personal finances. Don't delay – learn how to make a budget work for you! Here is the reality about your credit score… it doesn't matter until you actually need it. Most people think about a credit score when borrowing money in the form of a loan (mortgage, car loan, credit cards, etc). However, a credit score can be pulled to rent a place or even to get a job. Highly recommend to pull your credit once a year. Plus it is free to do. Check your free credit report now. If you looking to rebuild your credit score, then check out a secured credit card. Okay, this is the step that can't be done in an hour. It will probably take a week or month (pending your situation) to make sure you are properly insured and your documents are in order. This is the boring stuff that 99% of people don't want to do. Review their insurance to make sure it is adequate and make a will. Another important part of getting your financial house in order is to make sure you are properly insured. On these types of insurance, you will have to work with a broker or financial advisor that sells the specific type of insurance you are looking for. The insurance industry is highly regulated, so ask for referrals in your area. Why is Insurance so important to financial freedom? If you are able to replace the cost of a home or car with cash and not take a financial hit, then you don't need insurance. Let's be real… no one can do that! Insurance is crucial to cover the assets that matter most to you, your stability, and your financial security. The first piece being life insurance. A basic guideline with life insurance is to have enough coverage to pay off your home plus living expenses for your immediate family. If you are single with no dependents, a small life insurance policy to cover funeral expenses and travel costs for family is enough. However, it is important to review all insurance policies – auto, home, renter's, umbrella, identity theft – to make sure you are properly covered. This is another step many people overlook because, well, they just don't want to deal with it. It is no fun and difficult for many people to come to terms with. The first part is verify the beneficiaries on all of your accounts listed above are who you want to be. And double check to make sure their systems were updated with your preferences. Personal note: I just happen to glance at the beneficiaries for a life insurance policy and the beneficiary was not lined up with our wishes. I had to submit the same paperwork again to get it changed. The second part is to have a solid estate plan in place. Nowadays, this includes more than a will. Personally, I have always used an estate planning attorney. I know there are many online legal places to get these documents done. Plus every state varies on their laws. However, if you situation is *somewhat* complicated and weird, I highly recommend using an attorney. Then, your documents and your wishes will be solid enough to stand up in court. Now, that you have taken the time to get your financial house in order, it is time to move to the next step towards financial freedom. Completing the first step puts you on the Money Bliss Steps to Financial Freedom. Remember to focus on each step individually. It is impossible to work through all of the steps at once. 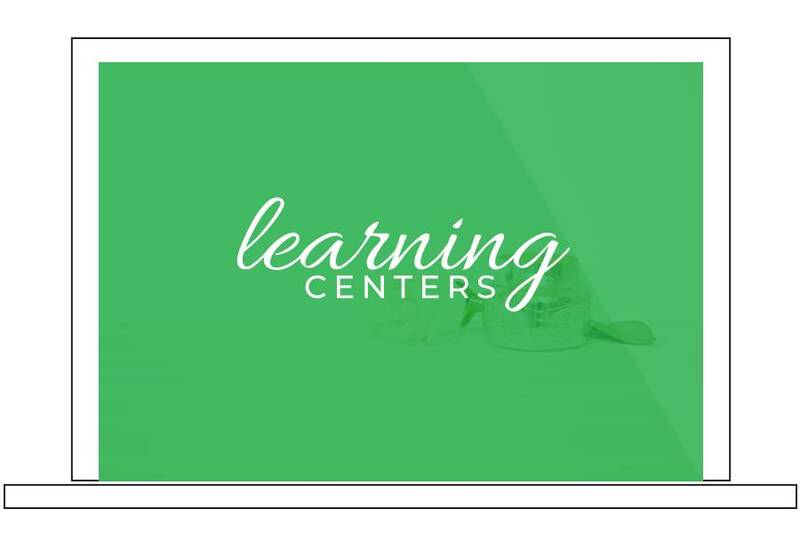 Use the Cents + Vision Planner to accompany you throughout the year. 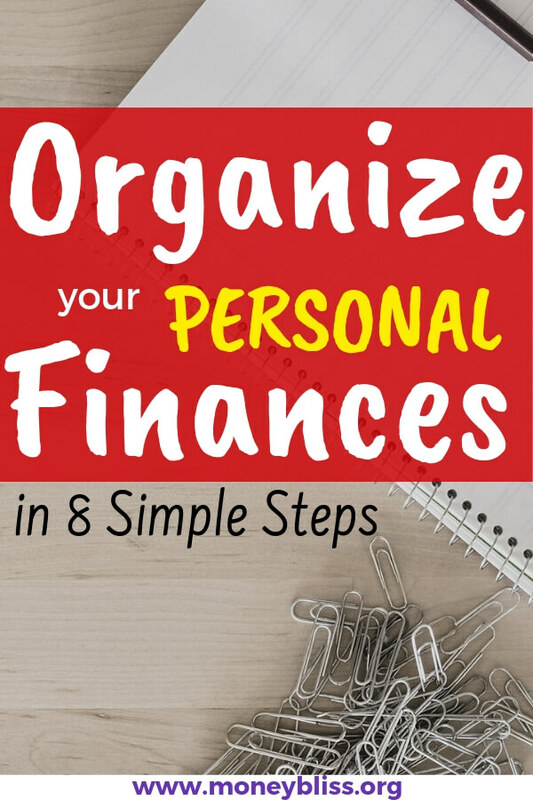 What is your next step to organize your personal finances? 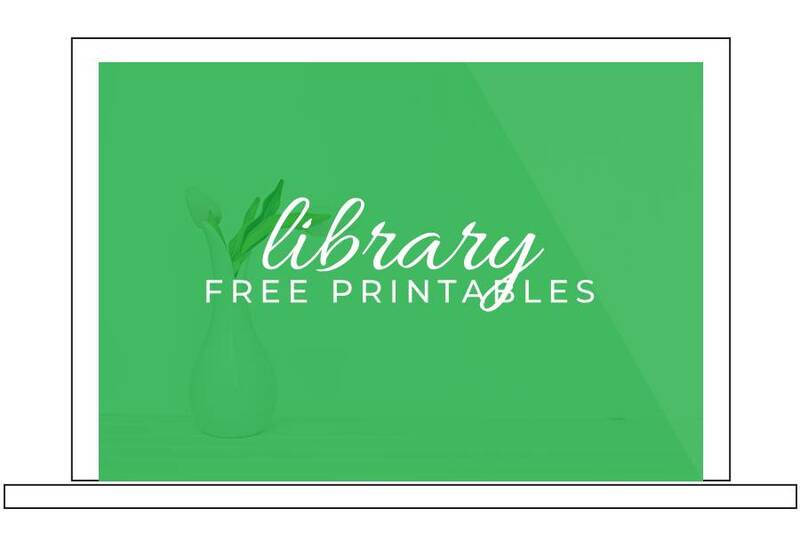 The resource library is full of printables to help you! Get one step closer to financial freedom today!